Virgil Tibbs is a Philadelphia Homicide detective home to see his mother in the rural south. He is arrested on general principles when a rich white man is found dead, and Tibbs' being Black is enough reason. When his identity is established, his boss offers his services to the small town sheriff who has little experience with murder investigations. As the two policemen learn how to work together, they begin to make progress on the crime. 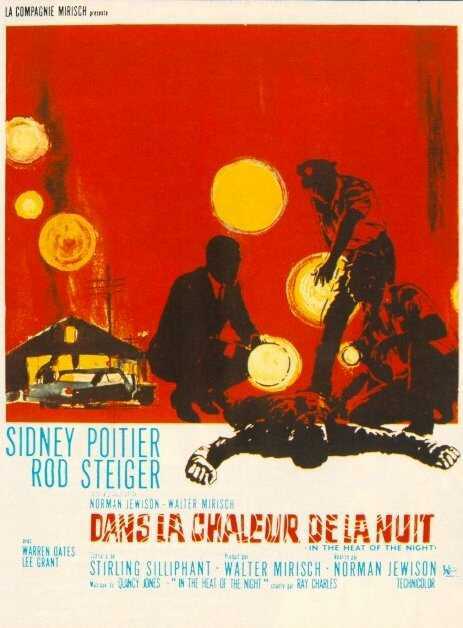 After a wealthy northern factory owner is murdered, racist Mississippi cops accuse African American Virgil Tibbs (Sidney Poitier) of the crime. Once they learn that he is a renowned Philadelphia homicide detective, they reluctantly seek his help. 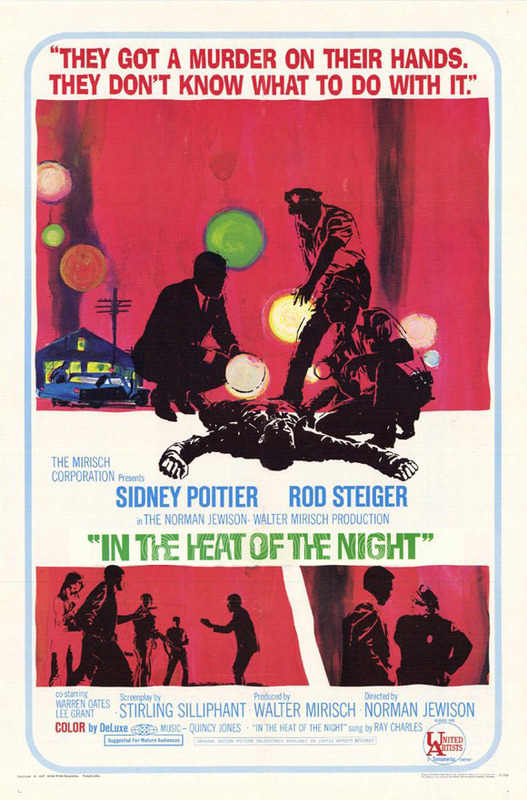 As Tibbs displays his skills as a detective, he begins to win the respect, protection, and ultimately friendship of the Police Chief Bill Gillepsie (Rod Steiger). The Perfect American Murder Mystery Rod Steiger won best actor, deserved it, and was matched eyebrow for eyebrow by Sidney Poitier's Unforgettable Creation of Mr. Virgil Tibbs, police detective.The supporting cast is perfect, with Beah Richards, William Prince, and Scott Wilson as special standouts.The dialogue by Siliphant is crisply written, the direction by Jewison is non-pareil, and the mystery is difficult and resolves things perfectly.As an overall American mystery, I must vote for this even over the Maltese Falcon (which of course is also great).Forget the hit-and-miss TV spin-off and treat yourself to the real thing.